Last Saturday, I made a batch of pizza dough and tried to see how many different things I could make out of it. 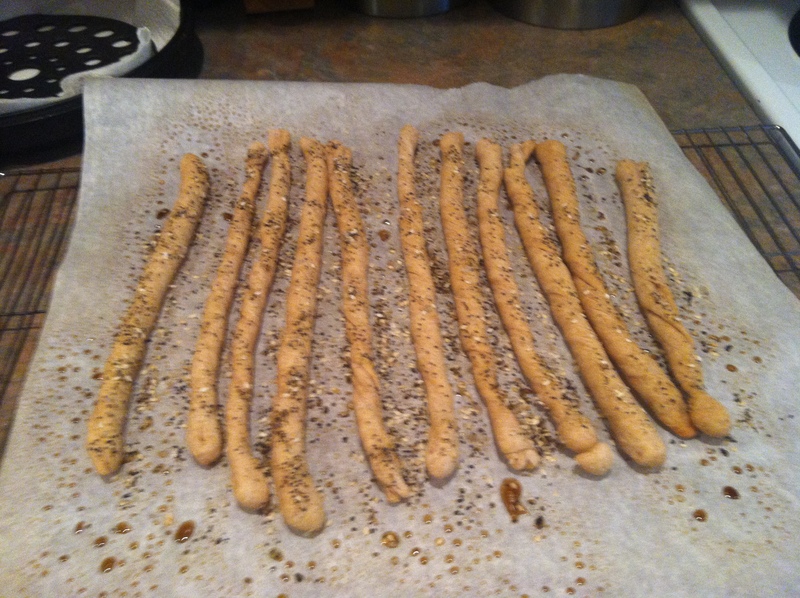 I made bread sticks, which were heavenly with the baba ghanoush. I ate all the remaining baba ghanoush over the sink! I attempted crackers, which I am grinding away at, but haven’t found an adequate food device for those to deliver yet (and now they are getting stale). And I made focaccia bread. Earlier this week, we ate focaccia with the leftover ratatouille, and my daughter piled it on top, making me think of bruschetta. 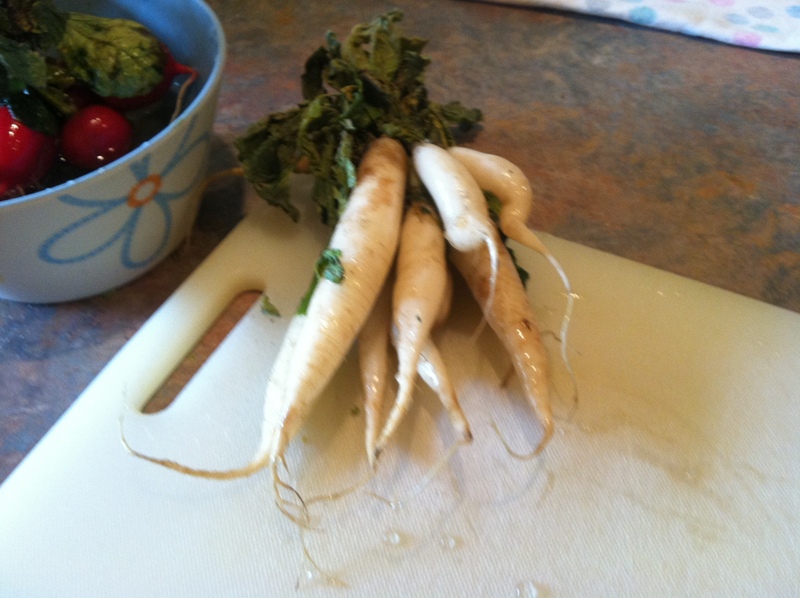 For the topping, I finally used some white radishes I had been storing in a bowl of cold water in the fridge for weeks! I preheated the broiler, then I chopped the radishes very small, along with diced pear, one tomato, roasted bell pepper and green onion. 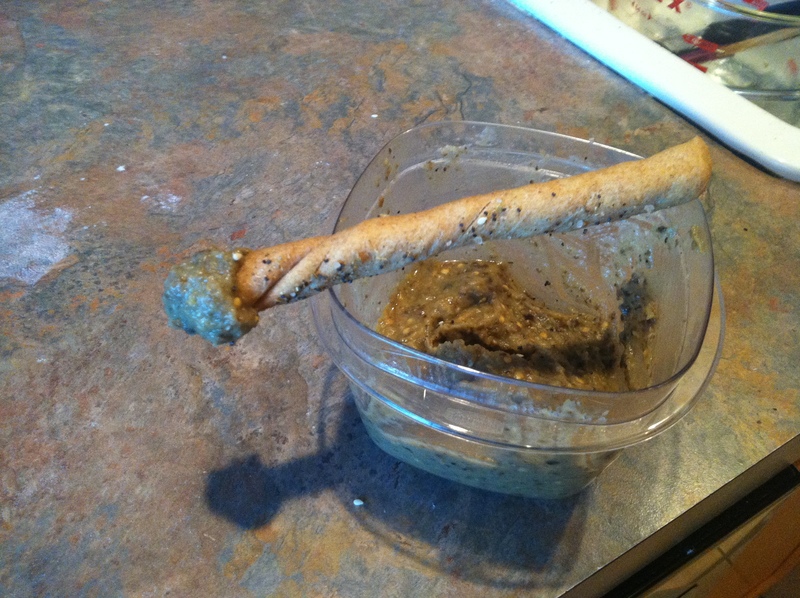 I tossed this mixture with some olive oil and sea salt, then spread it over the remaining focaccia on a pizza pan. To increase the potential the kids would actually eat this, I shredded mozzarella cheese and then placed it on a rack under the broiler for a few minutes. Unfortunately, I am famous for forgetting things under the broiler. 😦 Luckily, I caught this before it was totally burnt! I did have to eat the corners with black.. 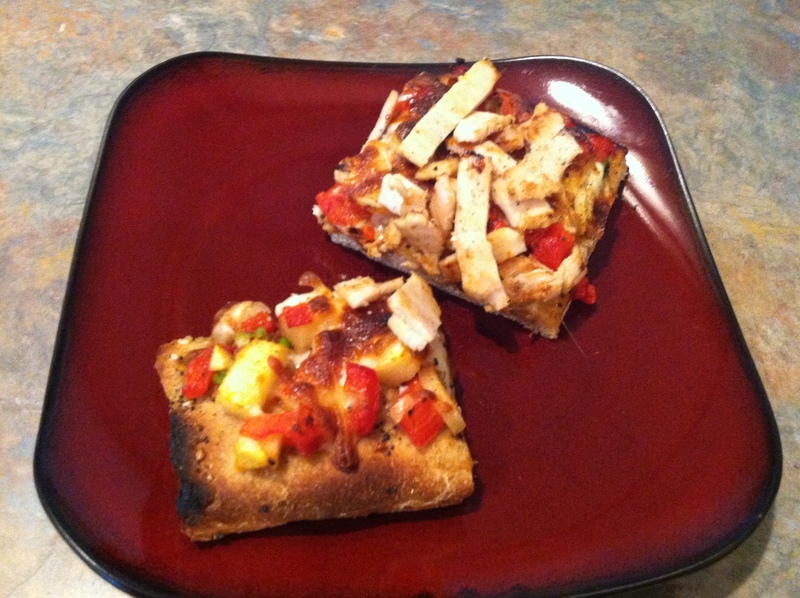 I had topped it with some sliced turkey breast that had been re-heated, and the kids loved it! This was a nice light lunch, AND it used those radishes. Happy, happy happy! This entry was posted in Commentary, Recipes and tagged bruschetta, green onion, pear, radishes, roasted bell pepper, Tomatoes. Bookmark the permalink. At one point in my youth I actually thought my mom liked burnt toast. Then I became a mom myself, and I understood. This looks great-I never would have thought to 1) store radishes in cold water in the fridge and 2) combine them with such disparate items on a focaccia. Thank you for the idea! There is 1 red radish lurking in the drawer that got missed in the ‘slice them up for hummus’ frenzy that I may now toss into something else. I used up all the Daikons though-and find they are terrific with hummus. Wow! So creative and the end result is very appealing! I need that focaccia recipe. I didn’t see a link to it but I’m sure you have a recipe! I used the pizza dough recipe. 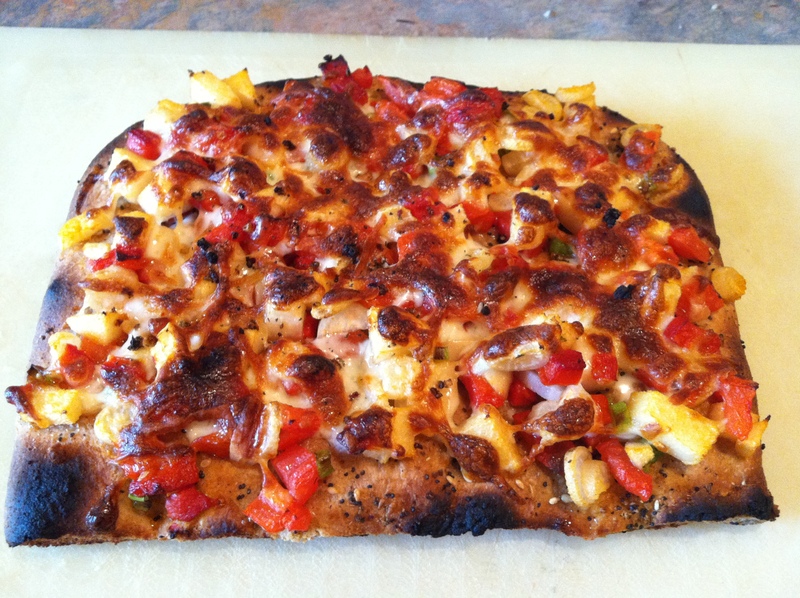 I took half the dough and pressed it into an 11″ x 13″ pan. 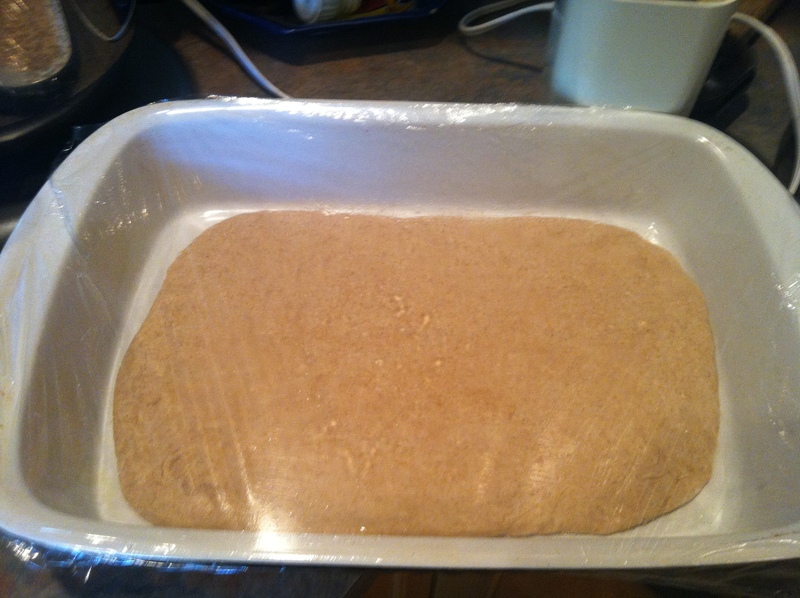 I let it rise for a while, then used my fingers to press the dough down again. 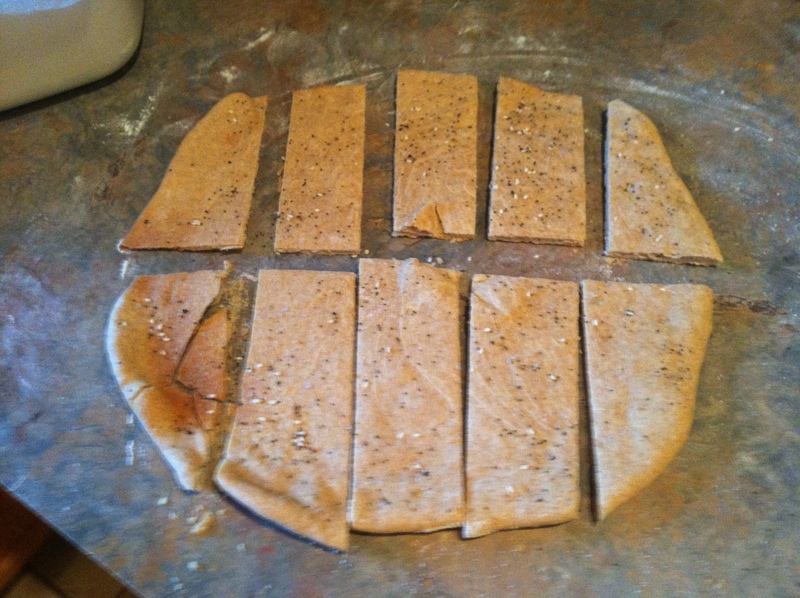 Before baking, I sprayed the top with olive oil cooking spray and sprinkled a seasoning mixture of sea salt, fresh ground pepper, poppy seeds, sesame seeds and fennel seeds. Then baked it at 350 until it was golden brown.